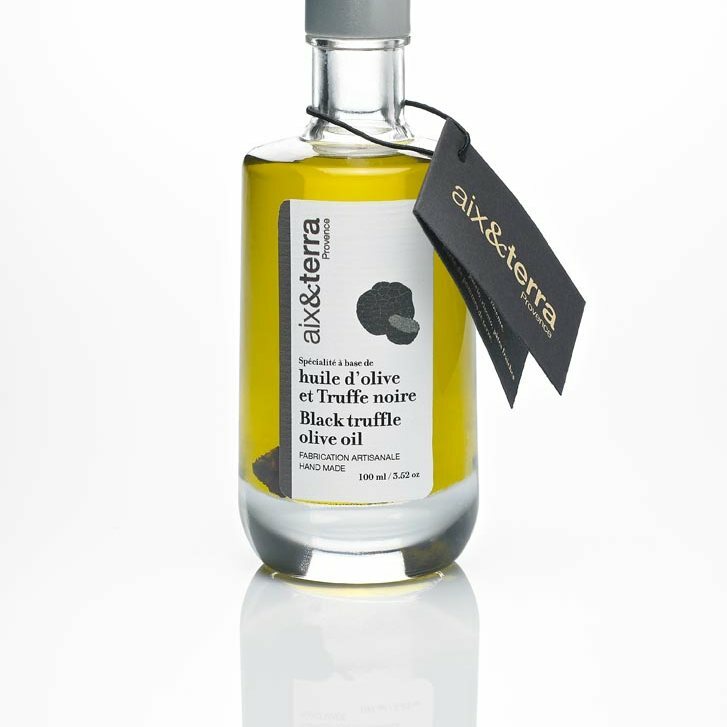 This fine black truffle oil has a wonderfully intense aroma and is rich with earthy flavours. Made with black truffle from Perigord combined with a mild extra virgin olive oil from Nyons in the Provence. 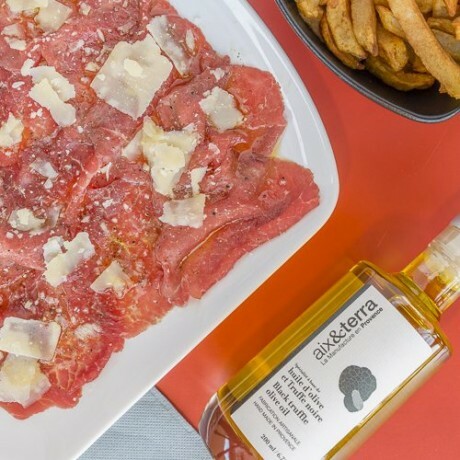 The oil and the truffle balance perfectly, making this oil easy to use on many dishes. Delicious enjoyed on meat, pasta, risotto and vegetables, and simply perfect for a Sunday roast. Ideal for any foodie, the beautiful bottle also makes it a lovely and sophisticated gift. Artisan Olive Oil Company specialise in sourcing fine foods from the best small artisans who are passionate about quality and taste. This oil is handcrafted in Provence by aix&terra, and is one of the most popular products from their range. Founders of Aix & Terra Richard and Marina work with small fruit and vegetable producers in the region, and develop original recipes with Michelin starred chef and French truffle specialist Julien Allan to bring you the best cuisine from the South of France. Available to buy as a 100ml or 500ml bottle, choose using the option available. Extra virgin olive oil (olive oil from France), black truffle (tuber melanosporum 2.5g), black truffle natural flavor. Premium olive oil and mediterranean specialities, sourced from small artisans who are passionate about quality and taste.